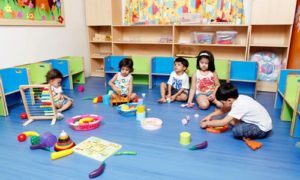 With preschools gaining immense significance in determining career of children, most of the young parents in cities find themselves perplexed when it comes to select the right preschool for their wards. Our cover-interview highlights the role of EuroKids International, a chain of preschools, is playing across three countries with its 900+ centres by redefining preschool franchise education space. The latest issue carries “India’s Top Preschool Ranking 2016” in an at tempt to evaluate the finest preschools of the country based on infrastructure, pedagogy, student enrollment, innovation in ICT etc. It is hoped this will serve the purpose of ranking which has been done based on a vast data collected from four regions of the country and judged by an esteemed jury. 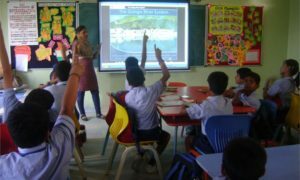 We have tried to explore some aspects linked to preschool like franchises’ scope and role in preschools, safety and surveillance, app-based learning in preschools, infrastructure, and uses of Apps prepared by schools as special stories. The issue also carries report of the Education & Skill Summit Jharkhand 2016, organised by the Government of Jharkhand in association with Elets Techno Media Pvt. Ltd., in Ranchi. It was an endeavour to explore some of the challenges, scope and investment opportunities in the State by bringing edu-leaders, experts, industry leaders and stakeholders under one roof. The day-long meet in October explored the vision, hope, and expectations of various people linked to the state’s educational ecosystem. Public-private participation in education, offering incentives to private university stakeholders, framing conducive policies for attracting investment, implementing tech enabled programmes for imparting quality education – it was underlined — that these steps were in the right direction. Hoping this issue will please our esteemed readers, we look forward to your invaluable feedback.